Be sure to follow us for updates on sales and promotional offers. Follow us on Instagram and twitter @earth_angel86. Earth Angel Healing Co is not responsible for any injuries, damages or losses due to using any of our products. When purchasing anything from our shop, you are accepting these terms and agree to use them for spiritual and holistic purposes only. All of our work is for the individual whom knows how to use their own personal power and strength for growing and healing. All sales are final, sorry no returns or exchanges. Beautiful hand crafted soaps and baths salts. They smell amazing and you can tell a lot of detail goes into each combination. 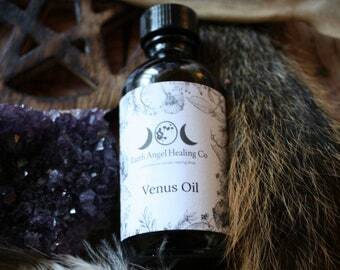 Also received a free Hecate oil and I learned a little about this oil and what it’s used for. Would recommend to anyone who loves thoughtfully crafted home made products! 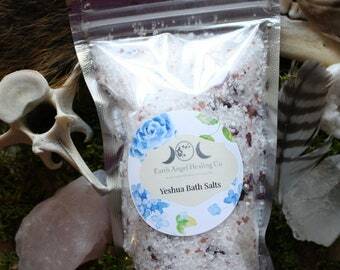 Beautifully crafted bath salts for spiritual and holistic healing. Hand crafted honey and oatmeal based soaps smell divine and are great for sensitive skin. 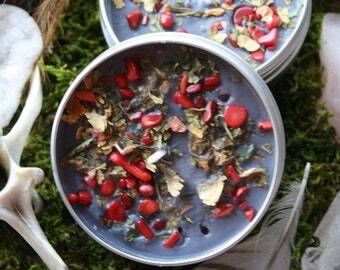 Soy wax candles specially crafted for the Wiccan, pagan and spiritualist. Beautiful honey and oatmeal based soaps made with organic herb and fowers, filled with essential oils. Super cute and made of beeswax ritual candles! They last about 2 hours, best if used for spell work and rituals. 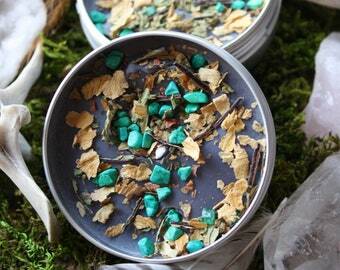 Divine lose powder incense that are self igniting and smell wonderful! No need for charcoal tablets. Lovely oils that smell amazing and great for holistic and spiritual uses. Earth Angel Healing Co was created to help pagans, healers, empaths, indigos and all folks interested in spiritual and holistic healing. We specialize in making healing kits, but we dabble in different ventures: making head pieces, chakra aligning crystal pendants, wands and more. We use high quality ingredients and organic herbs. 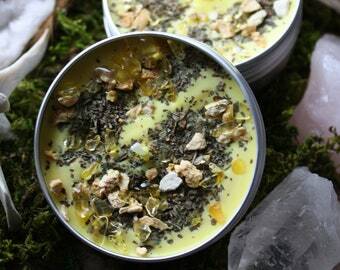 No animal fat used in any of our balms, candles or oils. Lorena Luna, the owner and creator, is an empath, indigo, clairvoyant and healer. All walks of life are welcome! If you don't agree with our beliefs, that's ok! Live and let live! To each their own, but please don't contact us if you don't agree with our ways. We aren't here to lecture or views down anyone's throat, this works for us and helps others connect to the source that rules us all: LOVE. Blessed be! Please go to our policy page for information on returns and cancellations. Energy worker, healer, solo practitioner, green witch, pagan, empath, indigo, clairvoyant and a free sovereign being. A co-creator of her own life, not a victim but a thriver. An alchemist that makes her own path with a lot of love and white magic.